Risk assessment in business associations is the process which determines the likelihood of negative outcomes according to a given set of desired criteria. When there is more than one desired criterion to be achieved in a business association, the process of risk assessment needs to be done by capturing the importance that each of the criteria will have on the successful completion of the business activity. In this paper, we present an approach that determines the significance of each criterion with respect to the goal of the business association and by considering the inter-dependencies that may exist between the different assessment criteria. 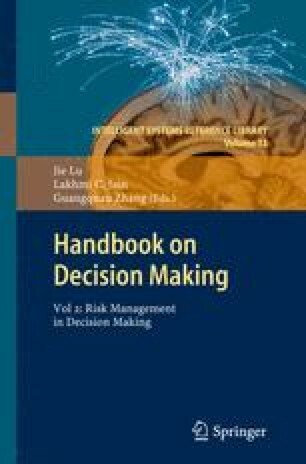 This analysis will provide important insights during the process of risk management, where the occurrence of such negative outcomes can be managed, according to their significance, to ensure the successful completion of a business activity.